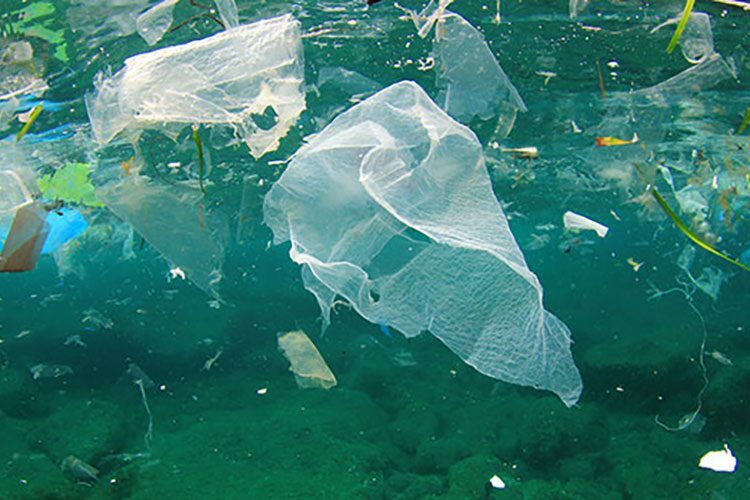 Does seeing an image of plastic bags floating in the ocean influence people to be more environmentally friendly? That’s what Bob Turner, professor of economics and environmental studies, hopes to find out with his new research. In Turner’s study, participants are asked a set of questions designed by psychologists that assesses their opinions on the state of the environment’s health. Next, one group is shown an artistic image of a whale, accompanied by text explaining that the whale image is comprised of 50,000 plastic bags, equal to the estimated number of pieces of floating plastic in a square mile of the world’s oceans. Other groups see different combinations of image and/or text. Sometimes, a photograph of bags in the ocean replaces the whale image. Afterward, all participants answered a subset of the initial survey questions and questions on their beliefs about plastic bag pollution. Turner first started thinking about the effects of art on people’s thoughts about the environment during a 2008 visit to Colgate by the Canary Project, which produces art and media about ecological issues. But it wasn’t until several years later when Turner was invited to speak at a scientific communication conference that he decided to pursue it further. In the fall of 2014, Turner designed a new a scientific perspectives class, called Environmental Activism, Science, and the Arts. Through working with students in the class, which discussed art, psychology, statistics, and the environment, Turner modified his study to this current iteration. Students from that class worked with him on the design of his survey instrument. 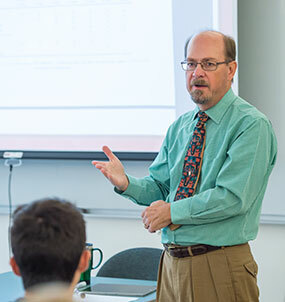 When he came to Colgate in 1983, Turner was purely an economist, and the environment was hardly on his radar, but now he teaches both subjects. “I married into a family that hiked in the Rockies every summer,” he said. “[While in] the national parks out there, I realized there were interesting economic questions associated with them.” He then helped expand the Environmental Studies Program to include environmental economics and has continued to conduct research about national parks in addition to his recent work about environmental art.